We go again! September is upon us and the season has started for the squad athletes. We welcome plenty of new faces to the group as well as a healthy number of last year's squad returning for another run for glory at Henley. The Club's strategic plan, to move back to a dominant position in UK domestic rowing, continues to be executed by our coaching team, with improvements to our programme, fleet management and squad discipline, all with the single focus of success in racing... 294 days to Henley! For this edition, I want to take a couple of minutes of your time to focus on the Club and our priorities as members. The start of the season is a good point to do this. You will know, and I hope be assured, that the Committee is working hard to make improvements around the Club and increase the value that you all get from being members. Being involved in the Club and what is going on there is important and we need to pull together and all make the best effort we can to keep improving the Club both in terms of the facilities but also making it a friendly, welcoming and enjoyable environment in which to spend time. We have had a brilliant turn out for rows and social events through the last season. The newly formed 'Millenials' group, which focusses on casual rowing, has grown from strength to strength. For their most recent outing, 29th August, with some cross-over with our other groups, four eights (three men's and one women's) had an enthusiastic outing followed by a barbecue on the balcony. This is something the Club is looking to continue, with more 'non-competitive' paddling and socialising in the LRC bar afterwards. The Great London Row over the weekend of the 1st/2nd September, in which so many of you either participated and/or came down for the barbecue, was a great success as well. Many thanks are due to Kathleen Curran for organising the GLR and to everyone else who assisted on the land to make it possible; it is no easy task managing these kinds of events. We intend to carry on developing our various rowing groups, Club Days, Wednesday night outings with the bar open, Sunday outings with family social afterward and better communication with members about forthcoming events. Please do support these things and take the time to socialise with other members of the Club who may not be part of your usual groups. 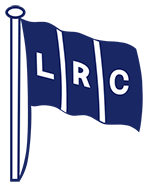 LRC is a great Club and getting to know, and socialise with, as many of the other members as possible will make it greater still. A date for the diary: Club Pride Day will be announced soon directly to all members. We have decided to have this slightly later than usual to see if it works better, with the squad all back and more availability of members. Please do come down to help with this important event in our calendar - important both from the point of view of cleaning up parts of the Club which often get overlooked for much of the rest of the time but also in terms of being a great opportunity to get to know other members of the Club who you may not have met before. A couple of essential notices please: We need to be more disciplined over the administration and management of outings to ensure that we can maintain the fleet and continue the safe and secure operation of the Club. Failure to undertake the critical safety points will have consequences, including individuals or groups having to be stopped from rowing if members' safety or security is put at risk. Please make sure the steersperson signs out in the book before going on the water, and back in on your return. The keys to the boathouses should be kept with the book. Once they have been used to open the bay or shed they should be returned to the book (not left in the door lock). Club sculling blades should be returned to the Scullers Shed racks and stored on their correct rack, split by side. If no-one else is signed out when you return from your outing, please ensure that all launches and equipment are safely inside before closing up, locking up and returning the keys to the book. Maintenance and repairs: if you have any issues with a Club boat, either maintenance and/or damage, please email fleetmanagement@londonrc.org.uk immediately to report what needs doing. Flagging what may seem relatively small matters will result in the standard of boat maintenance improving. Once they know about the issue via this reporting system, our coaching team will get it fixed as soon as possible. In this way, the frustration of turning up for an outing only to find the boat one wants to use is damaged and unusable will be alleviated. Finally, I need to mention parking. The underlying message is: 'Please do not park in such a way that access to the boat shed/bays or to the river is made hard or, worse still, impossible for our crews going afloat.' Therefore, never park on the slope in front of the Scullers' Shed or in front of any of the bays and if you park on the road across from the Club or on the slipway down to the river, make sure that in doing so you leave plenty of space for an eight to be able to get to the river without hassle and inconvenience. Further, please never park in the gap site between the Boathouse and the Scullers' Shed, nor across that gap, as it prevents our staff getting provisions into and out of the Club. In summary, last season was a good start for the Club's strategic plan and we expect to see significant further progress this season. Improved discipline in the basics by rowing members will improve the standard of maintenance of our equipment and ensure you can go out when you want to, in the boat you want to use. Most importantly, please get involved in all the Club's activities, both rowing and social. London is getting back on the map and I look forward to enjoying the next season with you all. The last update summarised the first phase of development involving the dismantling of the old gym structures, the covering over of the tank and the carrying out of ground works for drainage. The next stage of the development is the construction of the new steel frame. Members who attended the AGM will be aware there have been significant challenges to work through relating to the detailed design of the steel frame so that (a) the cladding panels and ridge mounted ventilation units can be attached exactly where they need to be attached, (b) we have the maximum height we can achieve both below the changing room box and in the changing room itself and (c) the way things like guttering and glazing will sit within the structure have been thought through. In practice, what happens is that the steel contractor creates a computer generated 3D model based on the engineering drawings and this is circulated to the main contractor, the engineering consultant, the cladding contractor and the ventilation unit manufacturer for them to comment. A revised model is then created and the process is repeated. It is only when everyone confirms they have not further comments that the model can be finalised and the steel can be fabricated. The design of the steel frame is complicated and all the dimensions need to be exactly right. There have been a lot of comments to work through requiring a significant amount of revision. Members will be pleased to know that after a huge amount of work we are almost through this process and the steels, which are fabricated off-site, started to arrive at the end of August. There is preparation work to be carried out and then, over the next few weeks, the steels will be bolted together, a bit like a giant meccano, and the new gym will begin to take shape. When the frame has been constructed the new cladding panels will be attached and work will start on the changing room. The contractor is preparing a revised programme to take account of the time it has taken to work through the steel design issues and this will be communicated in the next update. My current expectation is that it will be mid-December. GLORIANA OUTING, SUNDAY 23RD SEPTEMBER! LRC has the opportunity to row the Queens royal barge again during the Tideway Festival 2018. She will be leaving dock at Putney, 2.30pm, with 18 rowing spaces & a max. of 15 guests. The Club will be offering food & refreshment all day too. To book a space for either a rowing slot (ROW) or a guest slot (PASSENGER) please email Jason Danciger j.danciger@btinternet.com - spaces are limited so it's first booked first served. A small fee of £20 per head will go to the Gym Refurb project. The Irregulars are going strong and growing with approximately twenty regularly attending Sunday morning outings. Wednesdays are divided between the morning outings for those lucky enough not to be constrained by office hours and evening outings for those that are! Our big news recently has, of course, been the passing of our beloved and much admired member Rob van Mesdag - a dinner is being held at the Club in his honour on the 2nd October with a short outing beforehand as he would have wanted - we are expecting some of Robbie's international rowing colleagues to attend. A formal Memorial Service is being held the next day at All Saints' Church, Fulham. The Irregulars were fully represented in the Great London Row which took place on the 1st/2nd September. A quad and a double sculled the twenty-three miles from Dorney Reach to Hampton Grammar School Boat House on the Saturday and, of the eight crews that covered the fifteen miles from Hampton to Putney on the Sunday, the Irregulars fielded a coxed four and four quads. Well done to all who took part and, in particular, to those who did so on both days - they spent about ten hours on the water over that weekend. We wish the coaching staff and all members of the Squad and Masters great success over the coming year. We also very much look forward to being able to have an after outing shower in the not too distant future! WHAT'S IT ALL ABOUT…? WINNING! Many congratulations to our fellow member, Alfie Anderson, who won the 304th Doggett's Coat and Badge on the 4th September in a time of 25 mins 27 secs. This event, which first took place in 1715, is the oldest rowing race still in existence and possibly the oldest continuous sporting event in the World. Up to six Thames apprentice watermen compete each year for the honour of winning and being able to wear the much coveted red coat and silver badge. The race is rowed over 4 miles 5 furlongs between London Bridge and Cadogan Pier, Chelsea, and passes under eleven bridges. ﻿We are making progress towards our goal of £150,000 to finish off the gym build. Sincere thanks to all contributors, most especially those who donated at the start of the appeal and have done so again at this final stage. We are hopeful that the target will be achieved, particularly if the two-thirds of our members who have not yet made a donation, no matter how small, would consider doing so now. The objective is not just to build the new gym and changing rooms but to kit them out fully and end up with facilities of which we will be proud for many years to come. London Rowing Club, Embankment, Putney, London SW15 1LB. Solicitors should never ask a County Offaly granny a question if they aren't prepared for the answer. She replied again, 'Why yes, I do. I have known Mr Connell since he was a youngster too. He's lazy, snobby, and he has a drinking problem. He can't build a normal relationship with anyone, and his law practice is one of the worst in the entire country. Not to mention he cheated on his wife with three different women. One of them was your wife. Yes, I know him.' The defence lawyer nearly died. All members are reminded that if you are involved in or witness a water safety incident, you are required to report it using the following email address: safety@londonrc.org.uk. The Club will file any necessary reports on your behalf with British Rowing and the PLA, members should not submit reports directly to either body.